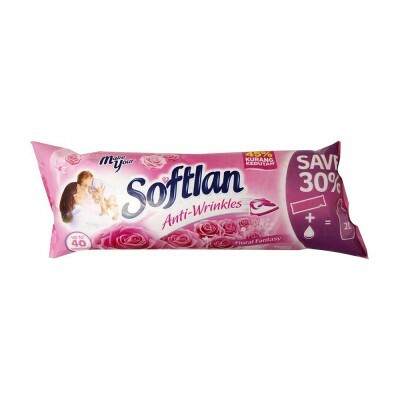 Softlan Anti-Wrinkles Floral Fantasy Fabric Softener protects your fabrics by coating and nourishing them, leaving clothes softer, fresher and easier to iron. Besides the soothing floral smells that gives freshness to your clothes, use Softlan Floral Fantasy to get static free and wrinkle free clothes for a more comfortable wear. Softlan Lavender Fresh Fabric Conditioner now comes in an Eco Pack for more savings and more value while staying kind to the environment! With the Eco..